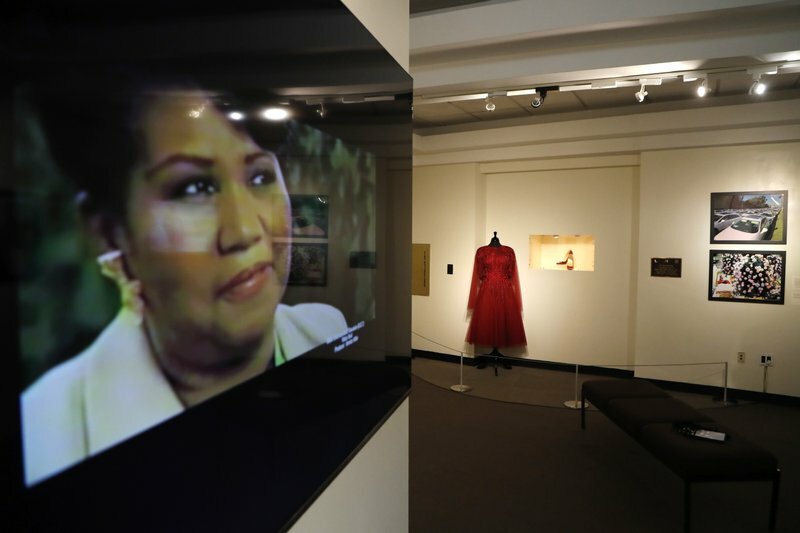 DETROIT (AP) — The Detroit museum that hosted Aretha Franklin’s public visitations after her death is again holding space for her — this time with an exhibit featuring photographs, videos and the red shoes she wore at the first funeral viewing that drew global attention. Billed as a “tribute to the Queen of Soul,” ″THINK” opens to the public Tuesday at the Charles H. Wright Museum of African American History and runs until Jan. 21, Martin Luther King Jr. Day. The show is a prelude what the museum envisions is a larger, long-term exhibit that would debut late next year or in early 2020. And both could be a proving ground for a permanent museum honoring Franklin and her family. The first show aims to capture and celebrate Franklin’s life in an intimate space that’s designed to change and offer surprises over time — much like its subject did. The images and artifacts span her life — among them a photo of her birth home in Memphis, Tennessee, a framed copy of the first record she cut in her longtime home of Detroit and a close-up shot of her singing “My Country ’Tis of Thee” at President Barack Obama’s 2009 inauguration. It also includes images captured by The Associated Press during her visitations, funeral and interment. Given how recently she died, museum officials say it was important to capture and present some of those elements “of residual grief and love” for the inaugural exhibit. “We’re trying to continue from the viewing the emotional experience we witnessed — see the emotional connection people had with the Queen and allow people to feel that,” said George Hamilton, the Wright’s interim CEO. Easley, who first “fell in love” with the young Franklin’s voice on radio broadcasts of her father’s services, told Hamilton that the exhibit hits the right notes. “You’re doing it in the right way and for the right reasons,” she told him. “It’s just really good to see my aunt’s dream come to fruition,” Owens said. Follow Jeff Karoub on Twitter at https://twitter.com/jeffkaroub and find more of his work athttps://apnews.com/search/jeff%20karoub .